Peak Engineering provided a structural analysis for the bridges along the route and traffic control plan for the transport of a transformer to a Central Maine Power Substation. The entire route was 61 miles long and required jumping thirteen separate structures with temporary bridge spanners. 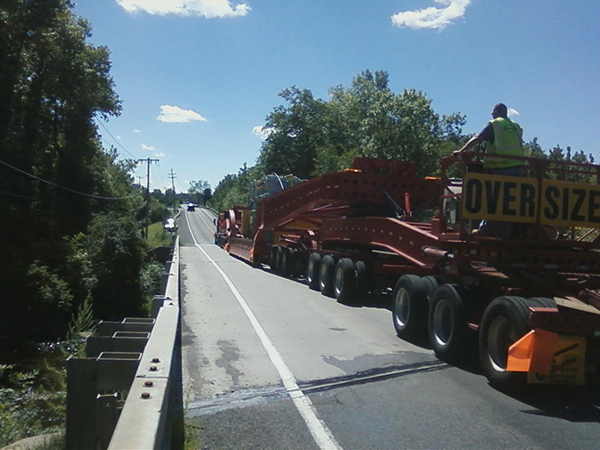 Peak Engineering worked with the hauler, Maine DOT, Maine State Police, and Central Maine Power and coordinated with all affected agencies, utilities, and municipalities along the route to ensure the safe movement of this transformer from origin to destination.